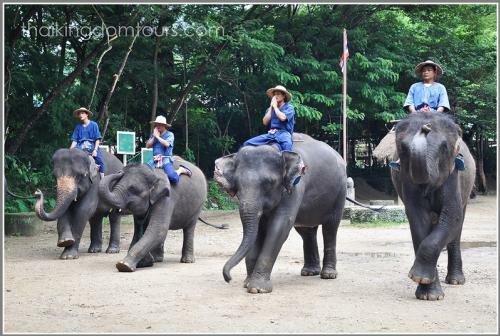 On this 2 days trip you will see an elephant show, take a 3 hrs. 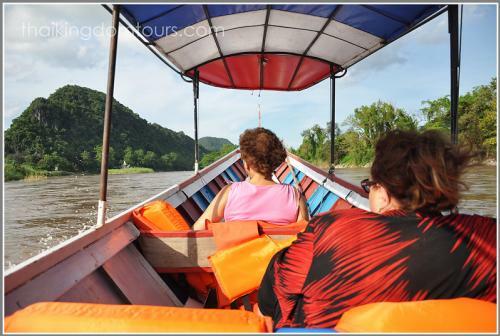 boat trip on the Mae Kok River to Chiang Rai with stopping at tribal villages. 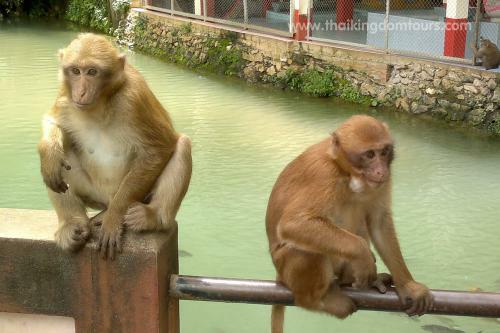 Visit monkey cave, Mae Sai market on Thai-Myanmar border, the Golden Triangle and White Temple. In the morning, visit an orchid farm and head north to visit an elephant camp. You will see elephants bathing in the river and then elephant show. You are also able to go elephant riding after the show (optional). 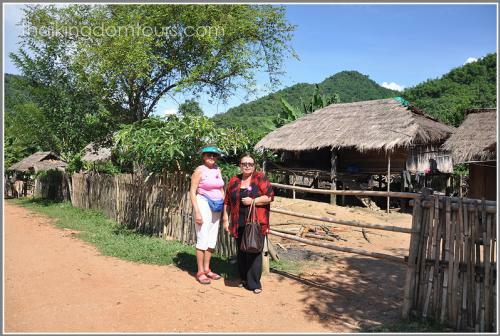 If you have been to elephant camp before and do not want to visit it again, it is also possible to visit Chiang Dao Cave instead. 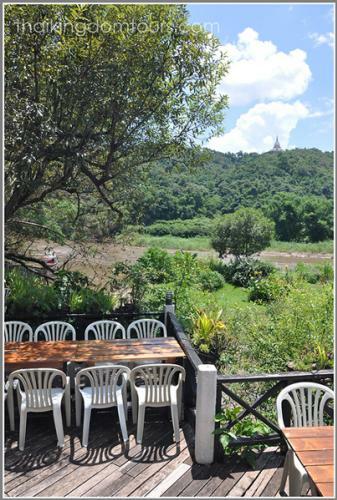 Proceed to Thaton, a small town on the Mae Kok River near Myanmar border, where we stop for lunch. 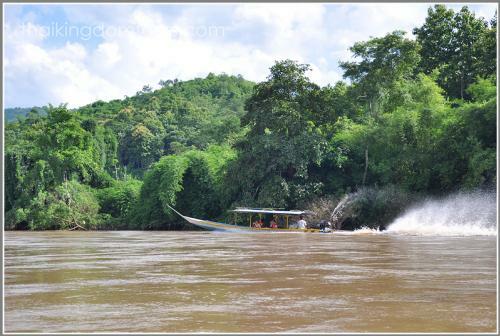 Afterwards, we drive to Pha Tai boat pier and take a boat ride on the Mae Kok River to Chiang Rai. 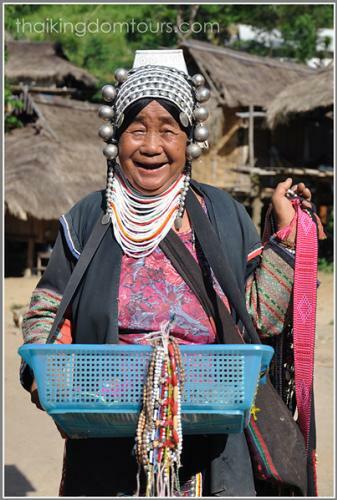 The boat trip to Chiang Rai takes around 3 hours including making 2 stopovers at tribal villages or hot spring. Arrive in Chiang Rai late in the afternoon. Stay overnight in Chiang Rai. We begin the day with visiting the fish cave or sometimes called monkey cave, because there are monkeys come down from the mountain to wait for food from tourists there. Next, we will travel to Mae Sai, the northern most town of Thailand located on Thai-Myanmar border. We will arrange an hour of free time for you to enjoy shopping or go look around the town on your own. 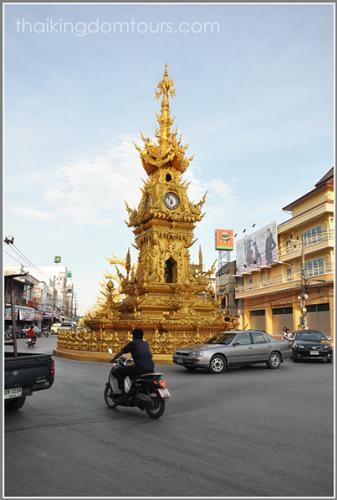 Mae Sai is a bustling border town with a big market full of products from Myanmar, Laos and China. 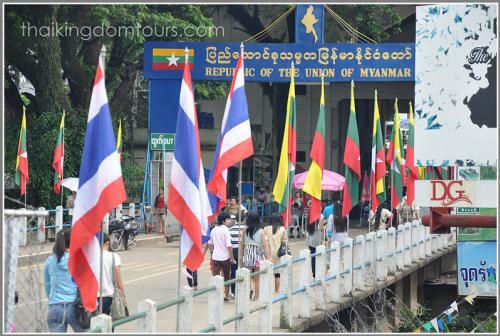 Proceed to The Golden Triangle where three countries come together, Thailand Myanmar and Laos. We stop for lunch at a local restaurant here too. 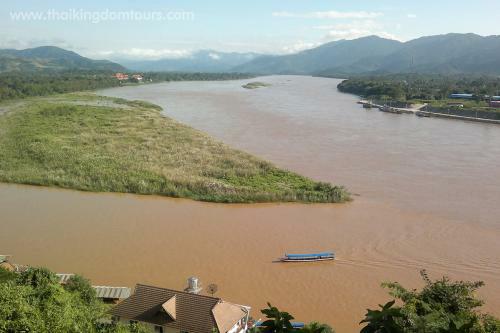 After that, we drive up to the view point where you can see three countries come together and the Mae Khong River . 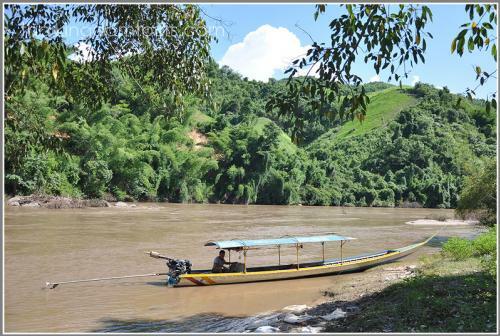 You are able to take a boat ride around The Golden Triangle and have a stopover at a village of Laos (optional). 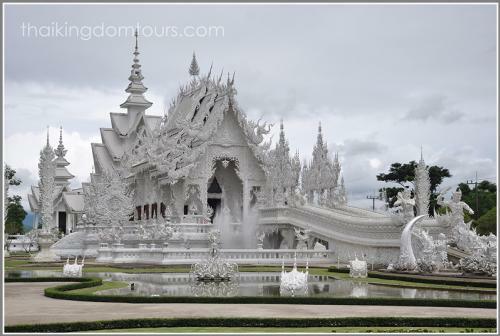 Continue driving to Wat Rong Khun (White temple), built by one of the most famous Thai artists, before travelling back to Chiang Mai. Remark: It is possible to finish the tour at Chiang Rai Airport in the case if you wish to fly out from Chiang Rai to your next destination and please book your flight after 4.00 pm.